There aren’t that many companies that do absolutely everything right, so I’m pleased to share one with you. 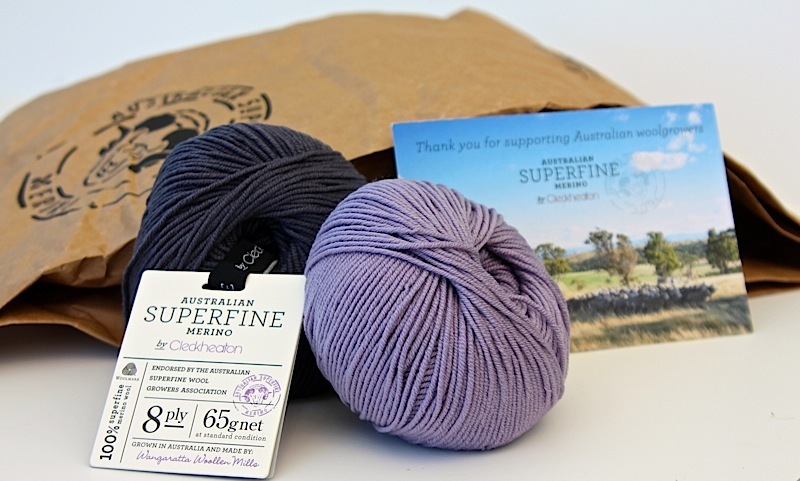 I ordered some Australian Superfine Merino by Cleckheaton and they exceeded my expectations from start to finish. Marketing: It started with their marketing which captured my imagination from the first moment. I wasn’t alone, by the time I ordered my yarn just 15 minutes after seeing it on Facebook, they were sold out. I spent my last 10 years at IBM in marketing. It’s hard to capture someone’s attention in a 2×3 inch square – they did. Customer Service: When they couldn’t reach me by phone to tell me about the sell out, they sent an email with my options. Rather than sending a blanket “we’re sorry for the inconvenience” email, they wrote me a personal email explaining the situation. How do I know it was personal? In the email, Brenda, the CEO of Australian Country Spinners, mentioned my trip to Italy. Yes, she took the time to link to and read my blog and when the yarn was on the way she sent me anoth er email letting me know (and hoping I was settled in after my nice holiday). Best Packaging Ever: The yarn comes in a paper feedbag with the company’s name on it. Talk about product branding! Fabulous. It only gets better. The yarn tags put every other yarn label to shame. 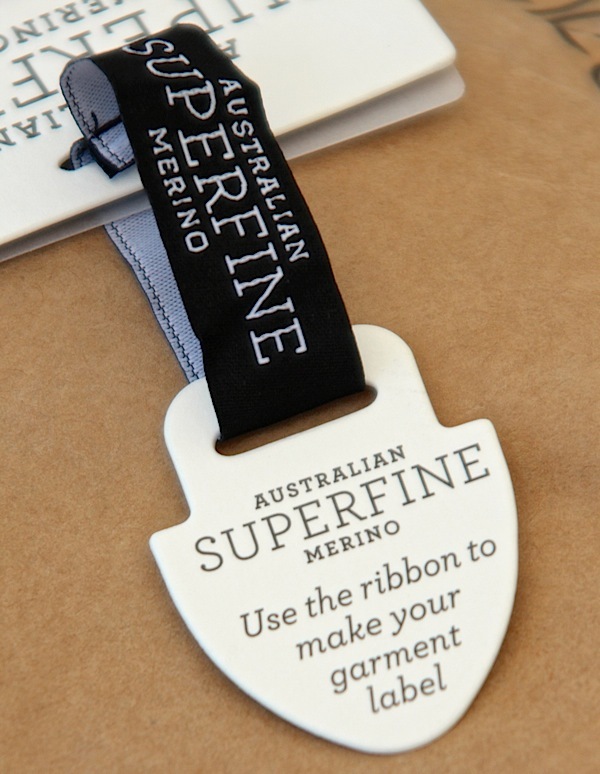 It’s a 4-part tag that’s beautifully laid out, uses high quality materials and even includes a garment label ribbon. There’s also a beautiful thank you postcard with an image of the sheep grazing in an Australian field. 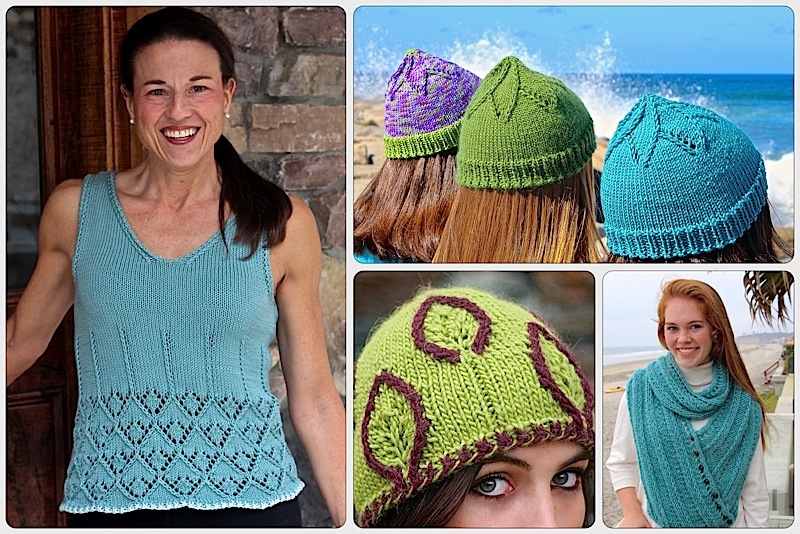 These guys put some serious time and effort into impressing knitters. Label me “impressed”. The Yarn: All of the packaging in the world wouldn’t matter if the yarn was not as delightful as promised, and they promised a lot. Guess what? They nailed it! This is truly delightful merino; soft, squishy and did I already say soft? This yarn deserves its own design. I ordered the Lavender and enough of the Smoke to add some interesting contrast. My mind is spinning with all the ideas and my fingers itching to swatch. Although I usually knit sweaters in size small to fit my models, this one is definitely for me. I can only hope another yarn company will prove me wrong, but as it stands today, I can not imagine wanting to write a better yarn/company review than this. I’ve been smiling since I opened the package. I absolutely love this yarn! I mostly have only ever knit with acrylic yarn and Joann fabrics started carrying this so I used a coupon to purchase it. I made a shawl and I loved how squishy and soft it was. I couldn’t wait to buy more and I made myself a little snuggly blanket in plain garter stitch because I love the texture. This entry was posted on September 2, 2014 by Laura Cunitz in Yarn & Yarn Shops and tagged Australian Country Spinners, Australian Superfine Merino, Cleckheaton, Merino Wool.